Today, Sarah Palin and Glen Beck are gathering thousands of right-wingers near the Lincoln Memorial. It is somewhat ironic, given that they are equating their cause (free market fascism) to the civil rights movements of the 60’s. Palin, an ex-governor, and Beck, a prime-time host on a corporate network devoted to politics, are supposedly railing against the evils of big government. However, the main focus of their gathering is nominally a focus on a return to religion. 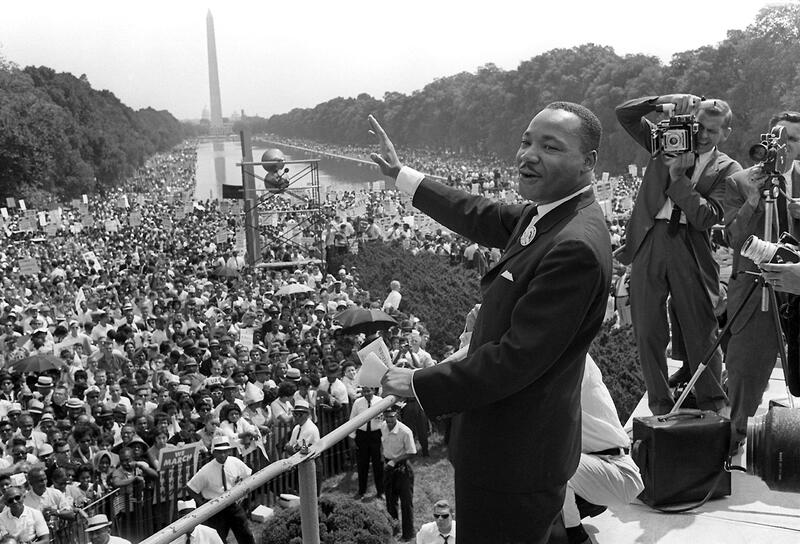 MLK was a man of devout religion, but did not strictly follow sermon. Christianity provided the rhetoric and morality to attach to his cause. This is not much different from what Sarah Palin and Glen Beck are proposing, except that they are on opposite, and very real, ends of the political spectrum. It starts with religion. The righteousness of Palin and Beck stems from their assumed moral superiority. I think it is foolish to say Obama isn’t doing enough. Indeed, he is like the Dutch child with his thumb in the dam. The question is if we are truly doing enough. Obama does his part. It is up to the left to create new organizations, new logic, even a new religion. We need to build a mindset that can replace the void left by enforced organized religions – one that we can use as a tool for pacifism, social tolerance, and economic justice. This project is bigger than any of us. We cannot be so afraid of the hyper-capitalist inquisition that we forget the greater cause. This entry was posted in Current Events and tagged Active Philosophy, art, buffaloes, conservatism, Dr. Martin Luther King Jr., Ideas, left-wing, obama, palin, politics, religion, right-wing, sarah palin, tea party. Bookmark the permalink. 3 Responses to Dr. Martin Luther King Jr.
great post and right on point!